Arzell Tuttle, a King resident, was last seen Wednesday and reported missing on Saturday. Police also said they are looking for two potential persons of interest in the case. The silver 2007 Chrysler PT Cruiser of Arzell Tuttle, 86, was found burned and abandoned on Kentucky Avenue in Winston-Salem on Friday night. The car was found after Forsyth County emergency personnel received a call about a suspicious fire. The car was discovered about 18 miles — a half an hour drive — from his residence, which is near the Stokes Family YMCA in the 700 block of East King Street. Tuttle is white, 5 feet 9 inches tall and weighs about 100 pounds. He has balding gray hair and gray eyes, according to the N.C. Department of Public Safety. 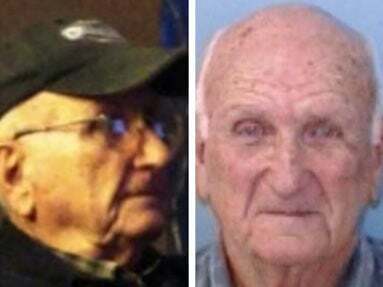 Tuttle was last seen at his home Wednesday. A Silver Alert was issued for Tuttle on Saturday morning after family members reported him as missing. Police said he does not suffer from a cognitive condition. “We have no update as to the whereabouts of Mr. Tuttle,” interim police Chief Jordan Boyette said at 12:30 p.m. Sunday, shortly after the department issued its update. Police said the two persons of interest were seen at the location where the car was found abandoned between 3 and 5 p.m. Friday. A man and woman were observed operating a silver color, early 2000’s model Pontiac Grand Am, two-door car. Boyette said besides King police, the Winston Salem Police Department and the State Bureau of Investigation are assisting with the case, including the use of cadaver dogs. “We’ve had helicopters search the area all the way to where the vehicle was located,” Boyette said. “We have searched along both sides of the road from his home to the site where his car was found. We have searched pathways and avenues along the way, including barns and places hidden from helicopter view. “But there is so much land between the two areas that it’s easy to overlook potential sites,” Boyette said. Anyone with information can contact Stokes County Crime Stoppers at 800-672-2851, Winston Salem Crime Stoppers at 336-727-2800, King police at 336-983-0886 or 911.